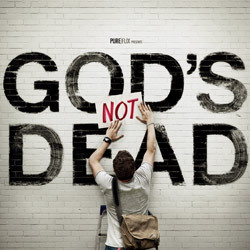 After watching the movie, God’s Not Dead, God just lit a fire and melted the ice in my heart. It may not have totally been washed away but a portion of my heart has resurfaced and felt the warm and loudness of God’s love and calling. I’ve been so cold and hardened because I don’t want to feel any pain – those pain and hurt that I am very much familiar with; those hurt and pain that have been haunting me from the past and even up to the present. For a moment there, I thought, “hey, this is good; even if people hurt you, you eventually say to yourself that it’s okay, you’re used to it, it will eventually pass.” But I wasn’t okay; it was never okay for me. I blinded myself with the belief that it’s working and who knows how the devil leaped highly with the decision I made. I did not go to church, I did not pray, I did not go to my christian activities, I withdrew myself from the people in my community because at the back of my head, the moment I allow myself to be submerged into these things is the moment that I lose control of everything. Because I know within myself that I am quite vulnerable to God and to His blessings and that includes guilt when I’ve done something wrong and I DON’T WANT TO FEEL THAT! I don’t want to feel it because it will remind me how wrong I am of getting the joy out of somebody else’s misery! I don’t want to feel it because it will remind me of my mistakes and the filth I voluntarily threw upon myself! I don’t want to feel it because I still don’t want to let go of the heavy baggage that God has been pleading me to give up and hand it all over to Him. And for a while, it seems to be comforting. 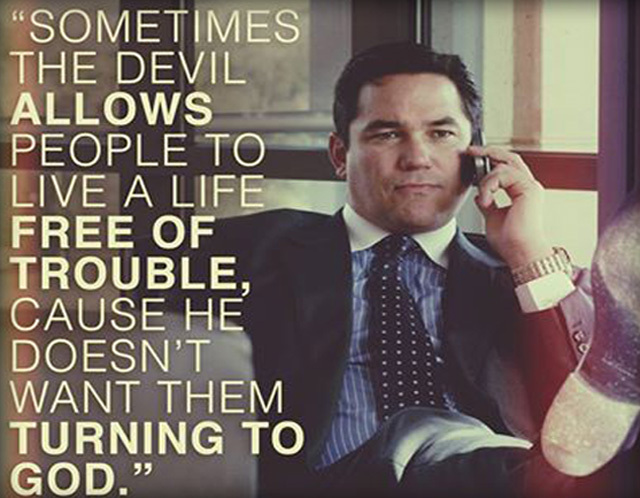 Now here’s a line that makes a lot of sense; a line that reminded me why my present situation appeared to be falsely overwhelming, “Sometimes the devil allows people to live a life free of trouble because he doesn’t want them turning to God.” I did not feel any guilt and I felt there’s no need for me to ask for God’s mercy and forgiveness. I am a Christian but it was until today did I realize that the word is more than just a word. It is a commitment. It is a commitment like no other. It is a commitment that threatens the devil and make him get up from his seat, gather his army, and formulate a plan to lure me out of God’s presence and do things which can satisfy my human wants but dries out my spirituality. Maybe I stopped showing up in church or sing praises to Him because at the back of my mind, I am ashamed of what I’ve done and what I am doing. That shameful feeling has led me to think that I am not worthy to be in a position where I will interact with others and proclaim His words when in fact, me, myself, is not faithful enough to put those words into action. And so I stopped. But no matter how I ran away from God and no matter how I tried to be somebody else, He just can’t let me go; He just won’t let me go. I pretended not to care and eradicated the sensitiveness that seemed to get under other people’s skin. I strove to please others because I did not like how it felt to be rejected especially by those people who mean a lot to me. Yet, all efforts seemed to be wasted because the pain still shoots up a million times and my question is, when will it ever end? I can’t help the tears when I heard the line, “to the wrong person, you’ll never have any worth but for the right person, you mean everything.” I was so selective to whom I shared myself with and I did not mind those who knocked at my door for the desire to be a part of my journey. I was so afraid to let people in and I realized that those whom I let in were not necessarily the right one to free me out of my misery but rather they became the right instruments to remind me of the faith and love and the relationship that I once shared with God. This realization has happened countless times already and no, I don’t think it will be the end of my stupid decisions of wrongdoings. But I consider this as my dribbling stage. You got to dribble the ball to keep it bouncing. Sure enough, the bounces are not always at its highest range but I am happy that I still get to bounce back on my knees. This movie has been my player who held me and throw me to the floor so I can leap back to reality. Out there, I know there are some who share the same situation as what I have right now and we need the player that God sends to help us bounce back and realize His love and how He had been and will always be patiently waiting for us to come back to Him. God’s not dead and we should strive to make our life resonate His existence and love.